"Kuki means Air in Japanese, and just as air surrounds and penetrates every aspect of our being and our life, so does and must design thinking." 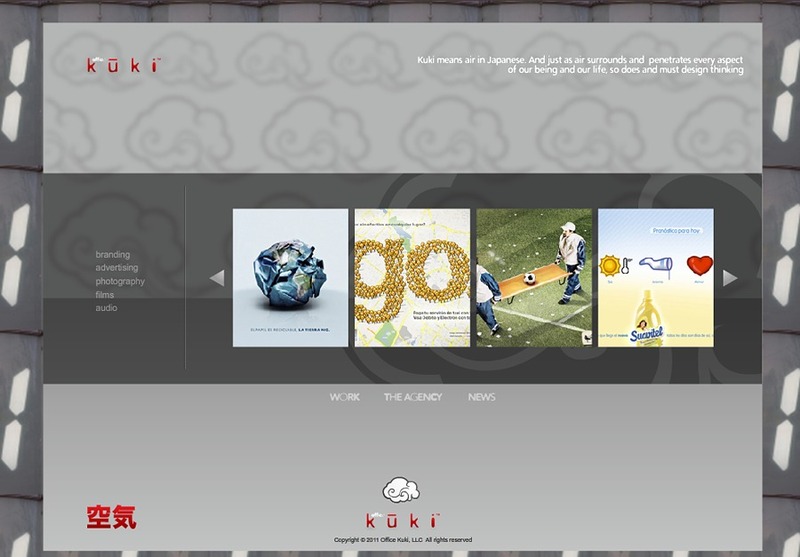 Office Kuki was formed with a multimedia approach to brand identity design and creative services as a philosophy for sustainable communications and brand development combining strategy, creativity and technical mastery. Our team writes, produces and creates Brand Identity, cutting-edge HDSLR films, Photos, Content, Websites, Commercials, Campaigns and Print. As a whole, the multicultural team has over 15 years experience internationally and is strategically located in Manhattan, Bogota, Paris, Tokyo and Sao Paulo/Rio. Office Kuki is a mobile and tight-knit Brand Marketing agency and production company which can offer custom-tailored services and value to the small and medium-size clients, larger companies and advertising agencies alike. You + Office Kuki: Human Ability. Our new Brand Marketing Agency website's advertising section.